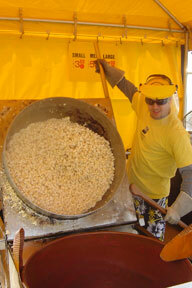 Only premium ingredients are used in popping our Kettle Korn - corn kernels, canola oil, sugar and salt. The canola oil makes our product very low in cholesterol. 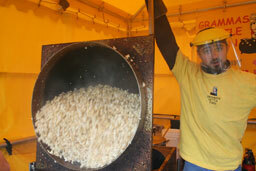 There are no additives or preservitives, plus you can still keep our korn in the pantry for 3 weeks or freeze. Just warm it in the microwave for a few seconds and it's ready to eat...doesn't get mushy either! 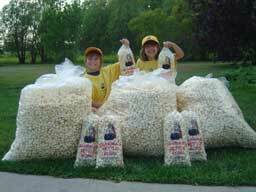 At events, we offer Kettle Korn in three sizes - large, medium and individual. 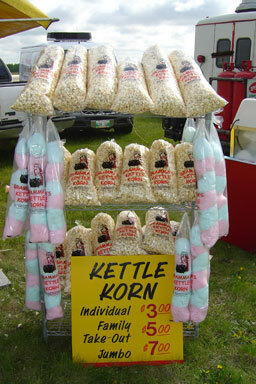 - Once you try our Kettle Korn, you'll realize what you've been missing.